Eating plenty of vegetables is an easy and inexpensive way to improve your skin’s appearance. Different vegetables can benefit your skin in many ways. Here are some of the benefits you can see from eight types of vegetables. Sweet Potatoes, Pumpkin, and Winter Squash – All three of these vegetables provide the same improvements in your skin. Just by eating these vegetables, you can help your complexion. Antioxidant beta-carotene is found in sweet potatoes, which is one of the main ingredients to help fight sun damage. Sweet potatoes, pumpkin, and winter squash also contain vitamin A and antioxidants. Vitamin A is needed to keep the skin healthy and regenerated. Antioxidants can slow the aging of cells. Avocado – These help fight skin inflammation. Avocados contain a natural oil and healthy fats. These oils and fats can improve the quality of your skin by eliminating any inflammation from the muscles beneath the skin. Carrots – Eating carrots can provide your skin with a natural sunscreen. (No, it’s not a replacement for sunscreen, just a little added help.). Beta-carotene is also found in carrots which can help your body to form collagen and regenerate your cells. Spinach – Spinach contains a whole list of vitamins that are good for your body. Many of those vitamins can help your system to function optimally, restore any cell damage, and deliver nutrients to your skin. Bell Peppers – These vegetables contain a high level of vitamin C. The large amount of vitamin C that is found in bell peppers can make your skin appear to be younger. 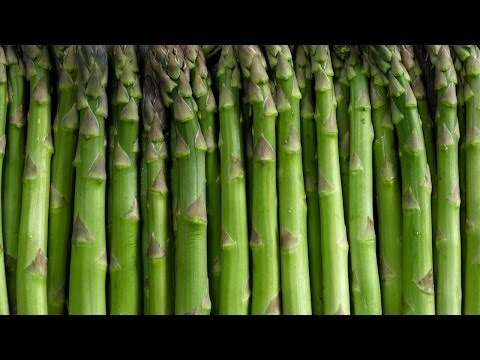 Asparagus – Application of asparagus to the skin can clean your skin, dry any sores, and help get rid of acne. Brussel Sprouts – Not everyone’s favorite, but eating these can help you create a more glowing skin. Brussel sprouts contain nutritional goodies that help maintain the health and the glow of your natural skin. The antioxidants in brussel sprouts can even help prevent skin cancer and any damage to the skin such as acne. Including sprouts in your diet will help in skin regeneration, which will lead to faster healing of any wounds on the surface of your skin. Skin discoloration such as freckles will get lighter when sprouts are included in your daily diet. Brussel sprouts will also help in removing any toxins from your body that make your skin look dull and lifeless. Lastly, Brussel sprouts contain an ingredient known as silica, which can rebuild and regenerate the skins connective tissues. Cucumbers and Celery – Both cucumbers and celery can hydrate dry skin. Silica is found in both of these vegetables which is known to increase elasticity to the skin. Eating vegetables can change the redness and yellowness in your skin. Eating vegetables can improve skin tone. Helps prevent your skin from getting clogged by oils and acne from occurring. Helps protect against different types of cancer. Which vegetables have worked best for improving your skin? Have you tried any of the ones mentioned above or others? If so, we’d love to hear from you! Just use the comment box below.